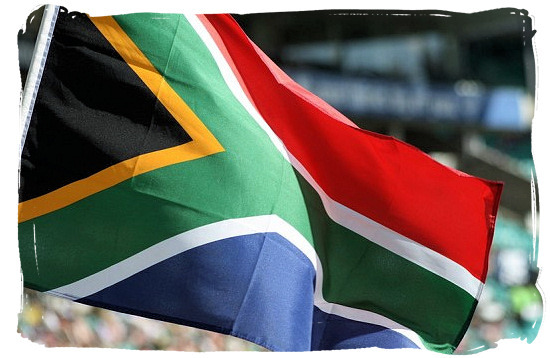 "The South African flag is a potent symbol of unity and progress". "It was difficult to imagine, back then in the days of negotiations, that this assortment of shapes and colours we had before us would become such a central part of defining and identifying a new nation. As South Africans daily work to build a better society, they are surrounded in many forms and countless manifestations by a flag which recognises and celebrates the unity and diversity of the country's people. But then, fewer still would have thought that a country torn apart by decades of racial oppression could transform itself into a beacon of democracy and hope." 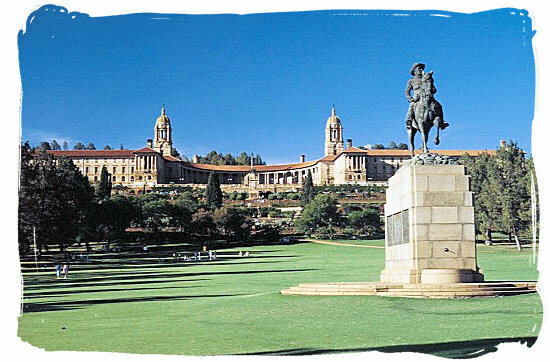 One of the most important national Symbols that had to change with South Africa’s transformation to true democracy was of course its national flag. 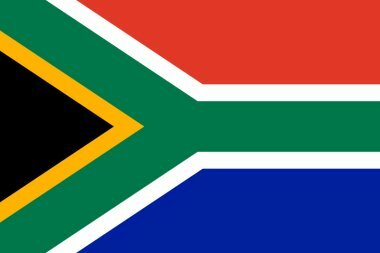 Today, instantly recognizable to South Africans everywhere, the new South African national flag is a potent symbol of unity and progress and the only six-coloured national flag in the world. The National Symbols Commission received more than 7 000 designs. However none of them elicited enthusiastic support. A final design was adopted on 15 March 1994 - derived from a design developed by South Africa's former State Herald, Fred Brownell. The proclamation of the new national flag was published on 20 April 1994 and the flag was first used on 27 April 1994. The central design of the flag, beginning at the flag post in a 'V' form and flowing into a single horizontal band to the outer edge of the fly, can be interpreted as the convergence of diverse cultures within South African society, taking the road ahead in unity. The theme of convergence and unity ties in with the motto “Unity is Strength” of the South African National Coat of Arms. The design and colours are a synopsis of principal elements of the country's flag history. Individual colours, or colour combinations represent different meanings for different people and therefore no universal symbolism should be attached to any of the colours. When the flag is displayed vertically against a wall, the red band should be to the left of the viewer with the hoist or the cord seam at the top. When it is displayed horizontally, the hoist should be to the left of the viewer and the red band at the top. When the flag is displayed next to or behind the speaker at a meeting, it must be placed to the speaker's right. When it is placed elsewhere in the meeting place, it should be to the right of the audience. Colour specifications of the South African national flag.